The Zelda - Triforce logo never gets old. 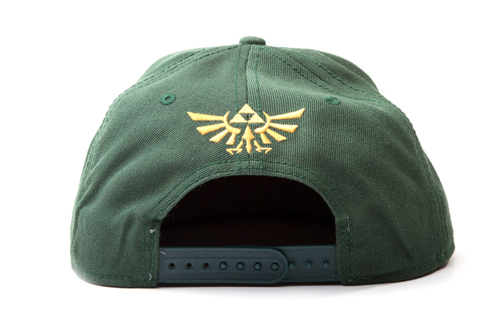 On this green snapback cap you'll see a large embroidered logo on front and a smaller golden embroidered logo on the back. The measurements are 58 CM and the cap is adjustable. Material composition: 70% Acrylic - 30% Wool.